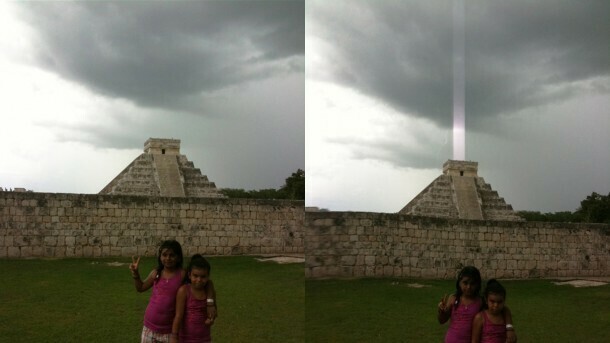 This picture was snapped in 2009 by a family when they were vacationing in Mexico and took a picture of the Mayan Kukulkan pyramid. The pink beam of light only showed up in one photo that the family took. Apparently other lights from pyramids have been showing up in other parts of the world. What's going on? Are the pyramids more than just tombs as we are told? The Earth has been making some pretty weird sounds? Does it have indigestion? Is it about to regurgitate the populace? I've always wondered if there was any relation between crop circles and cattle mutilations. If we are being visited, what is the purpose of the circles, the mutilations and human abductions?